She has had 3 owners and it's easy to tell how well each owner has cared for her. This boat is in very good condition and systems are working well, according to her owner. She has had 3 owners The motor on the windshield wipers will need replacing at some point. The owner has never run the AC or Heat since he has owned her Stock #174576 Freshwater Use Only, Well Maintained in Fantastic Condition If you are in the market for an express cruiser, look no further than this 1989 Chris-Craft 284 Amero, priced right at $19,900 (offers encouraged). 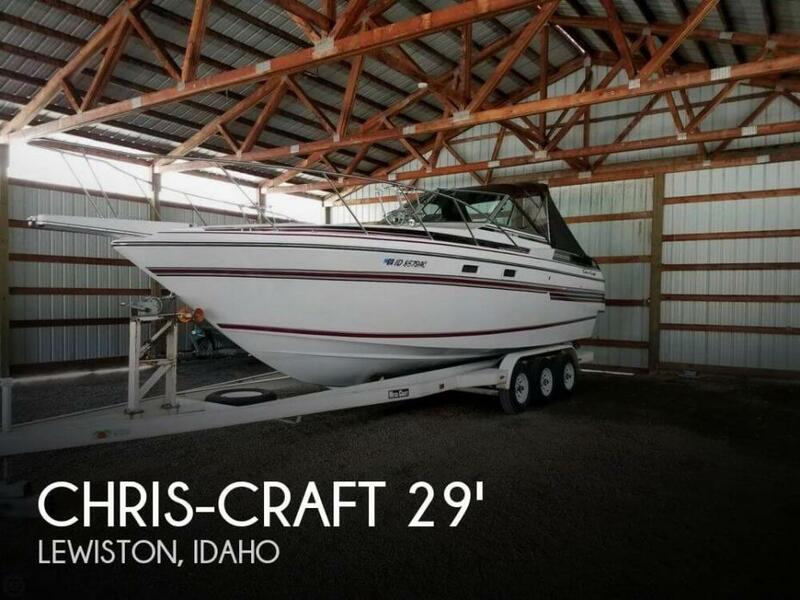 This boat is located in Lewiston, Idaho and is in great condition. She is also equipped with twin Volvo Penta engines that have 1,575 hours. This Red and White is hull #15, produced in 1947 as a 1948 model. This boat was originally sold on Lake Tahoe, and has spent the last 15 years in Coeur d Alene and Hayden Lake, Idaho. The stock original engine is a rare MB model, with a custom, period correct, Cyclone aluminum head. The stock Chris Craft head will be included in this sale. Also included is a custom mooring cover, and front and rear cockpit covers. 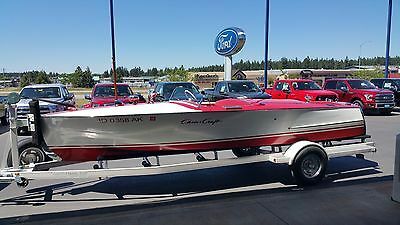 Finally, this Red and White includes a newer Trail-Rite trailer custom built for this boat. All maintenance has been done to this boat on a continuing basis, and the boat has been kept in climate controlled storage during the winter months. This is a beautiful example of a rare, hard to find Red and White Racing Runabout. The 4 restored boats currently on the market range in price from $48,000 to $69,995, so our boat is definitely for sale!